People living along a national highway in Vietnam celebrated Lunar New Year’s Eve by lighting up two sides of the road with flames, creating an impressive effect on the highway gleaming on the night to welcome the new year. At exactly midnight on Lunar New Year’s Day every year, each household living along National Highway 1 lights up a bonfire in front of their house, brightening up both sides of the highway.  Also known locally as National Route 1A or Road 1, National Highway 1 is the trans-Vietnam motorway beginning at Huu Nghi Border Gate near the China-Vietnam border and ending in Ca Mau Province, the southernmost province of Vietnam. Stretching almost 10 kilometers, the lit-up part of the highway runs from Dong Nai Province to Binh Thuan Province. 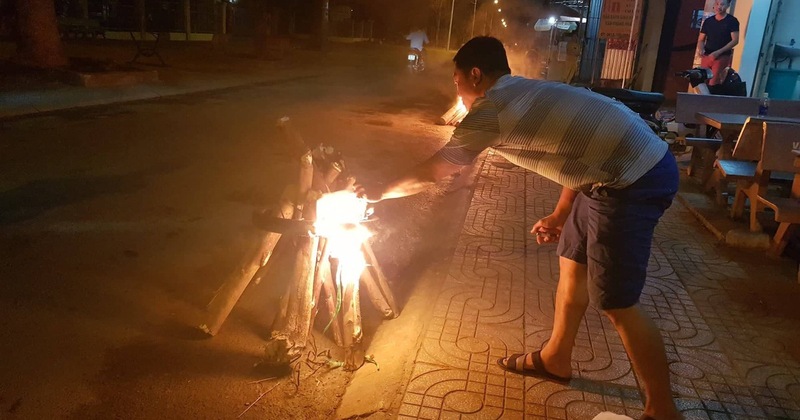 The first bonfire could be seen in Xuan Hoa Village, Xuan Loc District, Dong Nai, while the last one was located in the area bordering Ham Tan District, Binh Thuan Province. 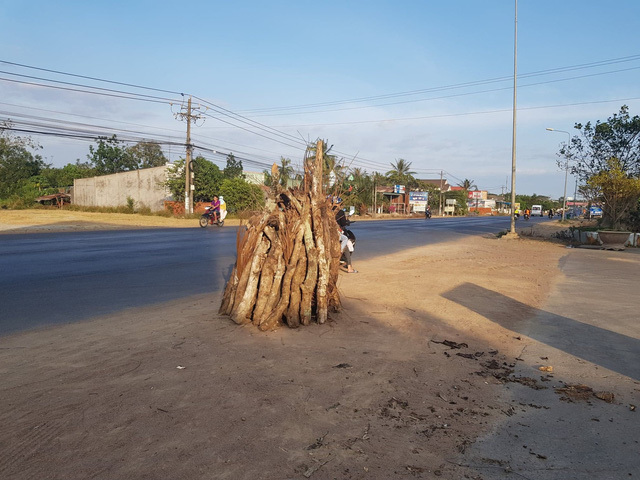 A resident, Vo Van Thang, who participated in lighting up the national highway, said he had seen this tradition practiced ever since he was a child growing up in the region. Lighting up a fire is a traditional practice to send off all the bad luck and misfortune of the past year while also providing coziness and light for the area, the 55-year-old resident said. As a child, Thang recalled his family would always gather unused things in the house that were no longer needed and leave them in the front of their house on the last day of the last month of the lunar year. These wastes would later be burnt at midnight on Lunar New Year’s Day as a way to celebrate and welcome a new lunar year. When the residents were more successful in their careers and financially well-off, they started buying firewood for the fire to last longer and put it in the wastes, according to Thang. Nowadays, almost every household would save the biggest and most long-lasting firewood pieces to set on fire on Lunar New Year’s Eve as a tradition instead of burning the unwanted possessions.